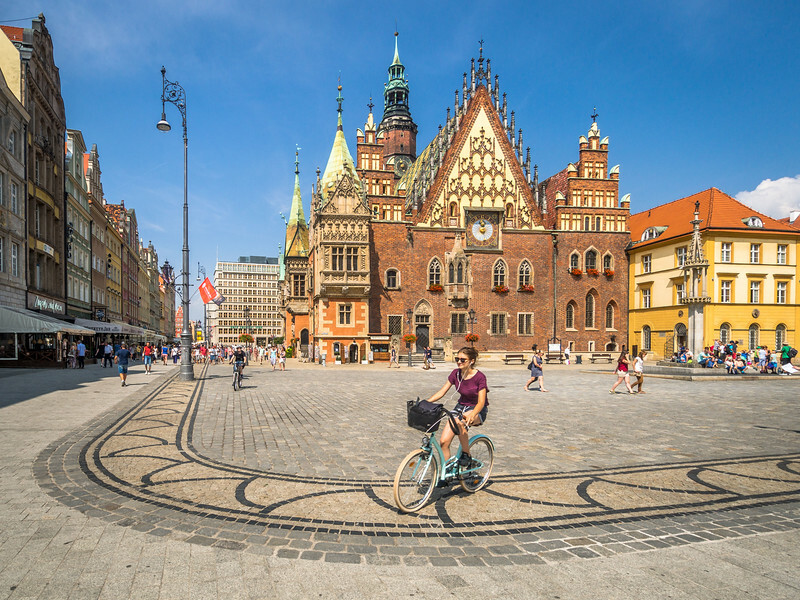 Poland is a country of UNESCO-listed towns and extensive forests, rolling Masurian plains lined with glistening lakes, cobbled historic centers revealing the secrets of Copernicus and numerous kings. As one of the undisputed gems of Central and Eastern Europe, Poland has risen to become a real favorite on the travel’s bucket-list from all around the globe. 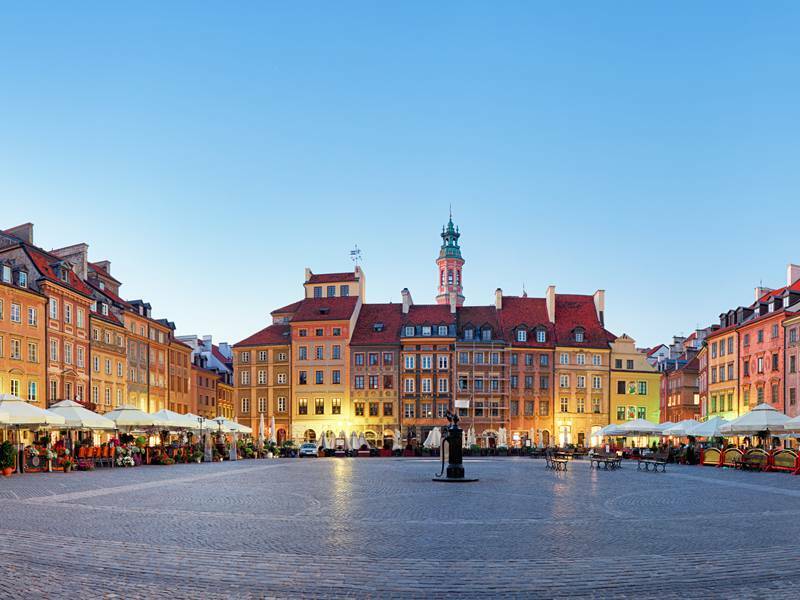 This all-inclusive vacation package Europe provides a perfect holiday itinerary for tourists looking to make the most out of their Poland journey. 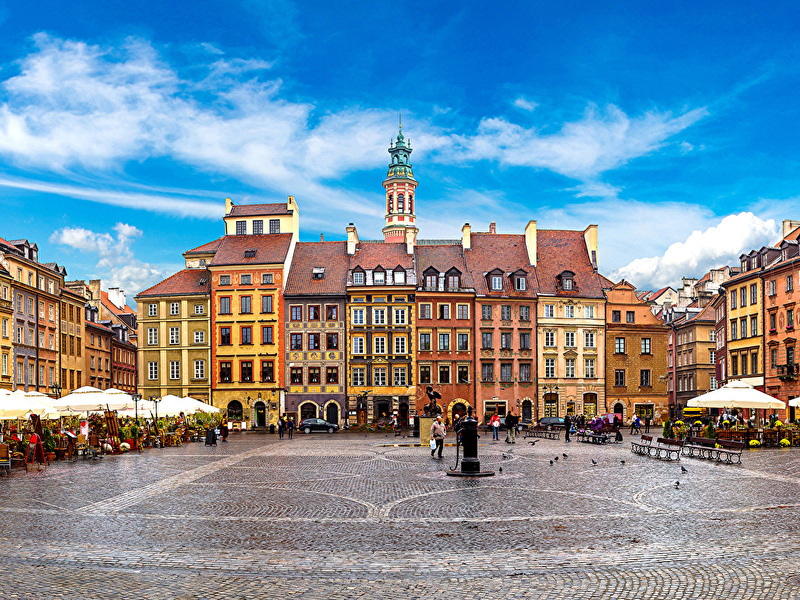 Today, your Poland tour will begin as you arrive in Warsaw Chopin airport early morning. You’ll meet your private guide at the airport, who’ll transfer you to your centrally located hotel. After check-in, relax for sometime in the comforts of room and soak in the vibes of Warsaw. In the evening, get ready to discover Warsaw with your guide. The Royal Route and its buildings having historical significance will be the first thing to explore. Paying enough attention to details, it was incredibly renovated. Reach the Castle Square and have a walk around the Old Town. Afterward, enjoy a delicious welcome dinner consisting of traditional Polish meals combined with Polish vodka “Zubrowka”. This morning, you will head out early to explore more of Warsaw. During a half-day tour, you will witness the Old Town, which was destroyed completely in the World War II, has now been amazingly reconstructed. 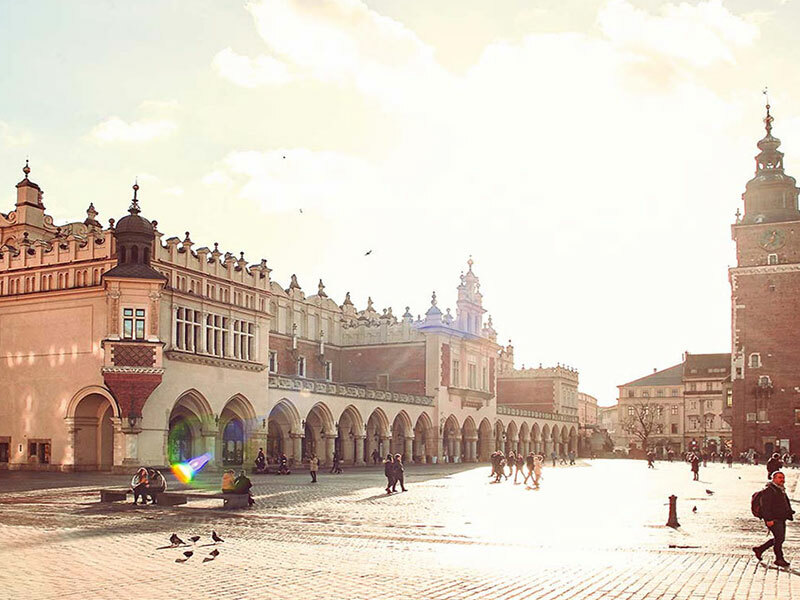 The majestic Royal Castle, the Constitution of May 3rd - the place of proclamation of the second constitution in the world, and the Polish kings’ seat, will definitely impress you. You will get to witness 300 rooms including the Canaletto Room. Here there are 23 of his paintings, the Throne Room, 22 portraits of kings of Poland in the Marble room, 6 paintings of Marcello Bacciarelli in the King’s Hall, and the spectacular Ballroom. 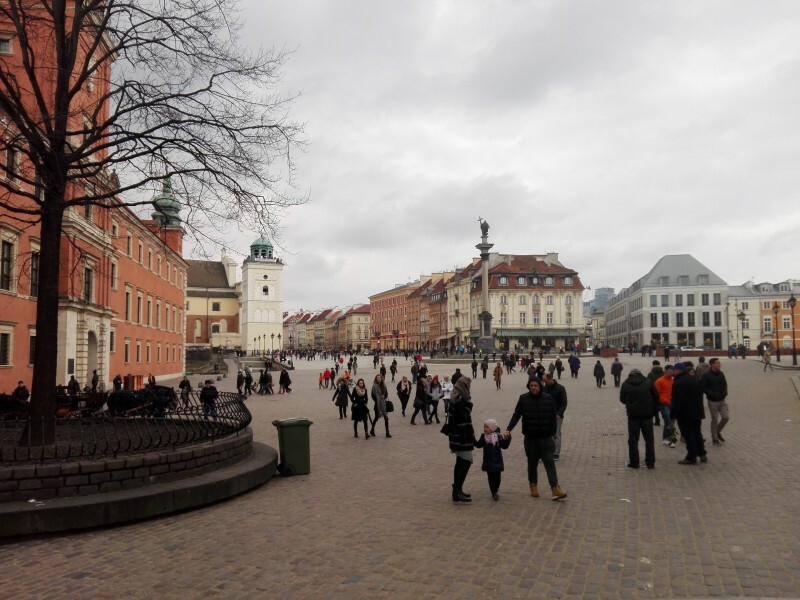 Later, enjoy lunch in a regional restaurant in the Old Town and the tour will be continued beginning from the place where the former Warsaw Ghetto was situated. En route, there you will see the National Opera House and the Town Hall. “Wedel Old Fashioned Shop” is going to be your next stop. Here relish their remarkable hot chocolate. Later in the evening, you will receive an invitation to a piano recital. One of our greatest composers, Frederic Chopin’s music will absolutely charm you. During intermission, you will get to taste a delicious sparkling wine. 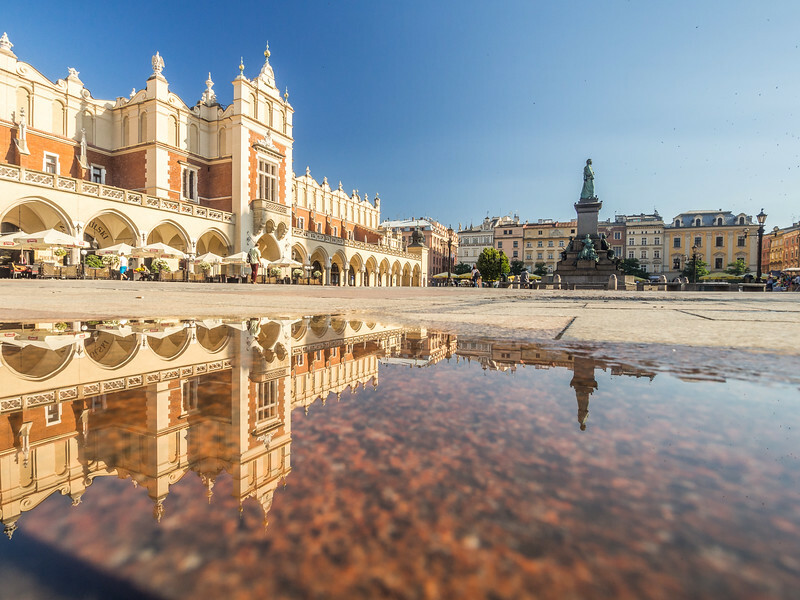 On your way to the striking ancient open-air museum – Krakow – you will have a halt in Czestochowa where you will witness the holiest Polish icon – the Black Madonna in the Jasna Gora Monastery. Enjoy lunch at a regional restaurant in Czestochowa. Later, get back on the way to Krakow, stopping in Auschwitz. A former concentration camp was situated there. During the Holocaust, millions of people lost their lives there in the crematoria. This morning, you will have a tour of Wawel, the seat of three Polish monarch dynasties, and the Royal Castle. Here you will have an opportunity to witness valuable art, unique objects and treasured furniture from the past. Monumental tapestries from the 16th century are unmatched. Later, visit the place of the cult of the Queen of Poland, St. Jadwiga and St. Stanislaw. Here admire 18 chapels which are like true perfection. Zygmunt, a massive bell is ranked as one of the biggest in the world! Moreover, Polish monarchs were crowned and buried there. Afterward, have a peaceful break at Krakow’s popular cafeteria where you will taste their delicious desserts and coffee. The reconstructed Main Square in the Old Town will be your next stop. A masterpiece made by Wit Stwosz, The Wooden altar, which is situated in the St. Mary’s Basilica will truly impress you. The central part of the square is taken by the Cloth Hall which was constructed before 1349 and later renovated in the 16th century. The afternoon is yours completely. Enjoy dinner at a regional restaurant in the Old Town. 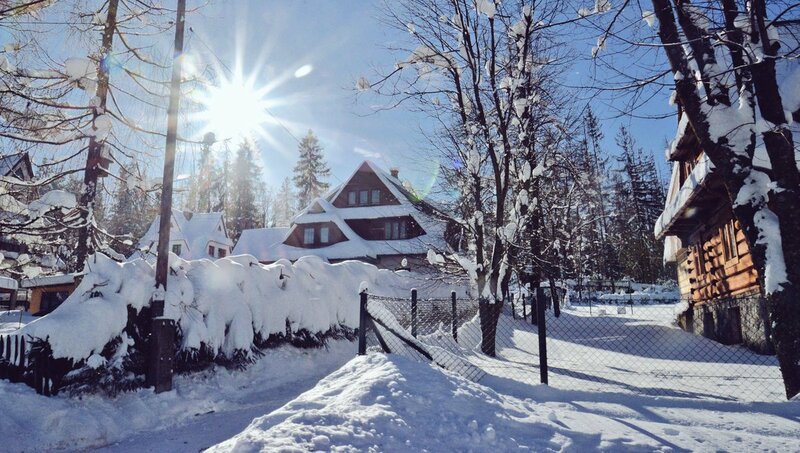 Today morning, have breakfast and head out to Zakopane which is a holiday resort in the Tatra Mountains. It is a perfect place for walk lovers, hikers, and people who admire the local folk art. But firstly, visit the Wieliczka Salt Mine and see wonderful grottoes, chapels, lakes, and a spectacular cathedral. All of these are carved from rock salt! Enjoy lunch at a local restaurant in Wieliczka after which you will move further to Zakopane, situated between Gubalowka and Giewont. Its enchanting location makes it the most famous resort in Poland and one of the most beautiful places. Earlier, this used to be a tiny village hidden in the mountains, at the beginning of the 20th century, like a trendy artist’s shelter. 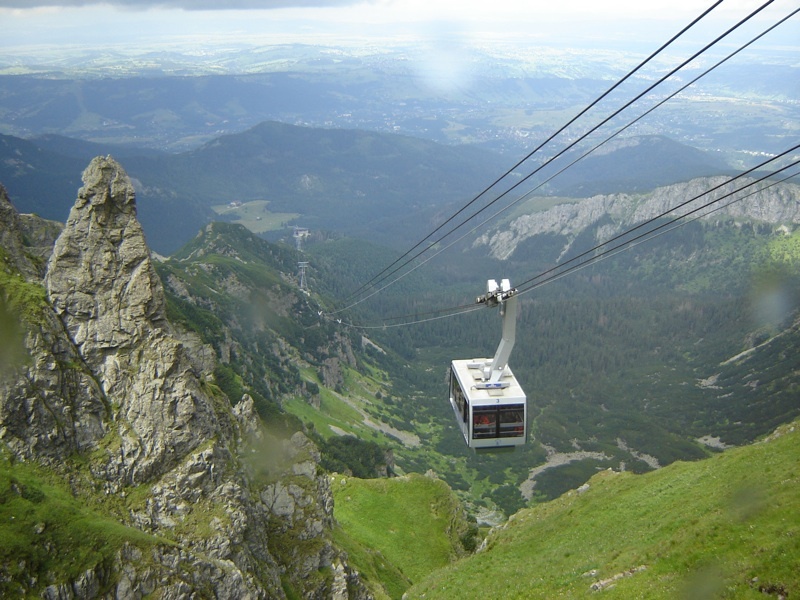 Today, Zakopane tour is going to be your activity. 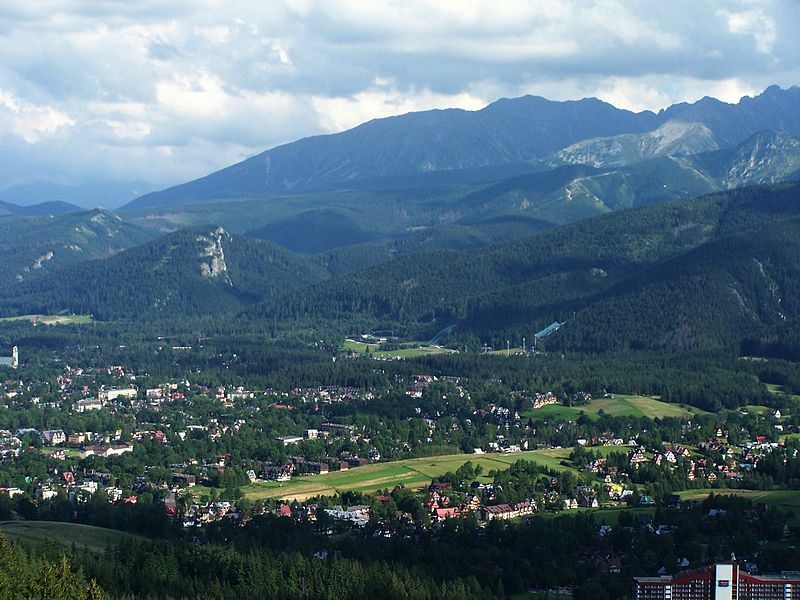 Wooden architecture and astonishing landscapes are the perfect combination which, is named Zakopianski Style. One example of Zakopane’s wooden architecture is the Jaszczurowka Chapel which you will see today yourself together with the Sanctuary of Our Lady of Fatima at Krzeptowki, built by locals after the attempt on the Pope’s life. 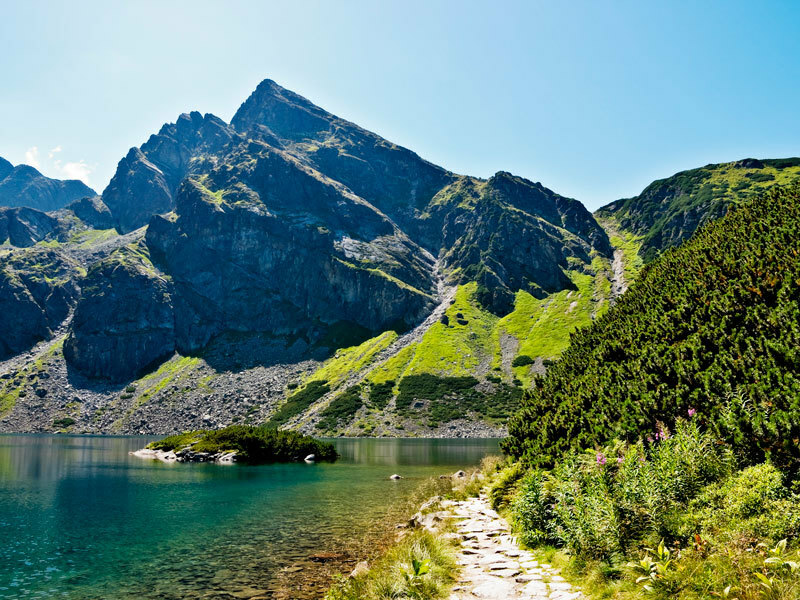 Soak in the spectacular views from the Gubalowka Mountain. Explore local shops with souvenirs of arts and crafts of Highlanders. Later, enjoy lunch and explore further at your own pace. In the night, enjoy dinner at a typical Highlanders’ inn together with a folkloric show. Today, you’ll be heading to the west. You’ll be driven to Wroclaw which is also known as “Venice of the North”. The capital of Lower Silesia, Wroclaw is one of the oldest Polish cities. It is gorgeously situated at the Odra River. En route, stop in Wadowice, the city where Pope John Paul II was born. Enjoy lunch at a regional restaurant and then later, have a chance to see his family house. Enter the Basilica of Wadowice and see the plaque commemorating his baptism in that church as well as a stone font where he prayed when he visited Poland in 1979 for the first time as the Pope. 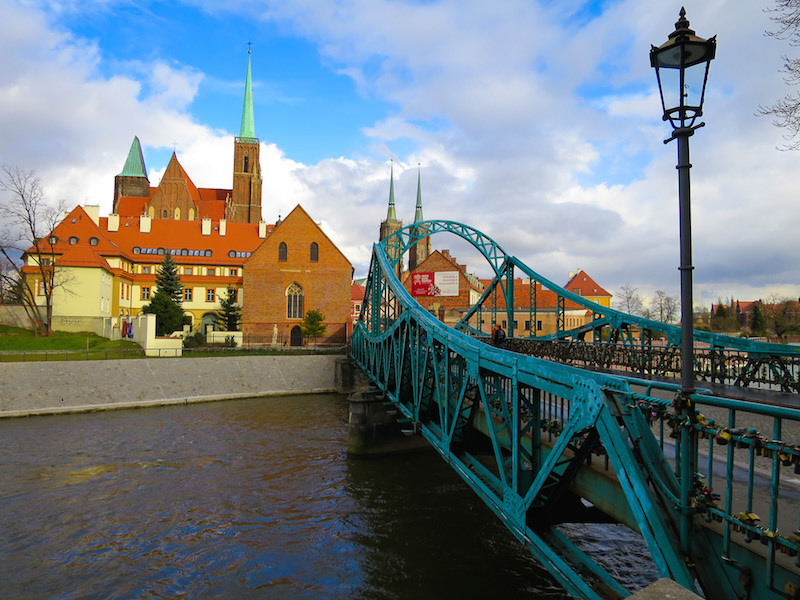 Afterward, head to Wroclaw, which is the Cultural Capital of Europe 2016. Epitomized as the Town Hall on the Market Square, the city is a treasure of urban Gothic-Renaissance architecture in Poland.